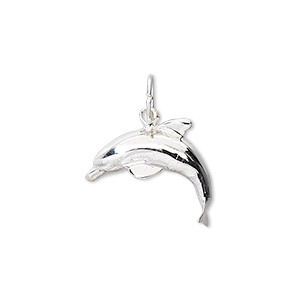 Charm, silver-plated copper, 18x14mm single-sided dolphin. Sold per pkg of 4. Item Number: H20-A4231FN Have a question about this item? 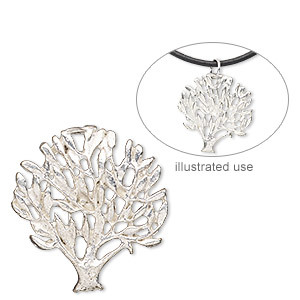 Cast plated copper-based charms are a stylish addition to jewelry designs. Their intricacy makes them ideal for brooches, charm bracelets and multi-strand designs, while their thin profile make them well suited for scrapbooking and sew-on embellishment techniques. Sizes, shapes and colors may vary with handcrafted items. 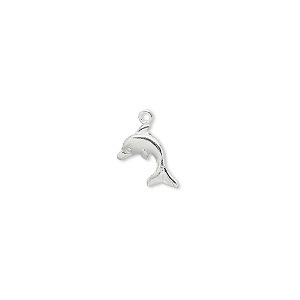 Charm, silver-plated brass, 9x9mm dolphin. Sold per pkg of 100. 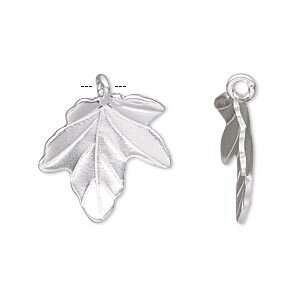 Charm, silver-plated copper, 16x13mm single-sided textured flat leaf with hidden loop. Sold per pkg of 4. Charm, silver-plated copper, 26x24mm single-sided tree of life. Sold per pkg of 2. 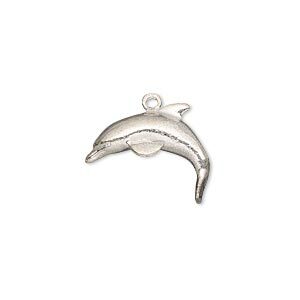 Charm, antique silver-plated brass, 25x21mm single-sided dolphin. Sold per pkg of 2. 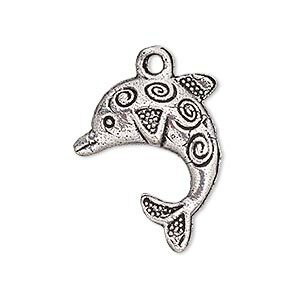 Charm, antique silver-finished "pewter" (zinc-based alloy), 16x12mm dolphin. Sold per pkg of 10. 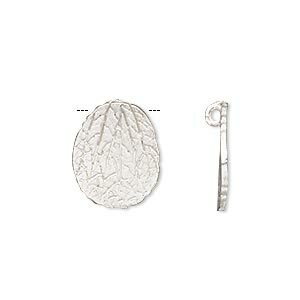 Charm, Hill Tribes, silver-plated copper, 20x19mm single-sided leaf. Sold individually. 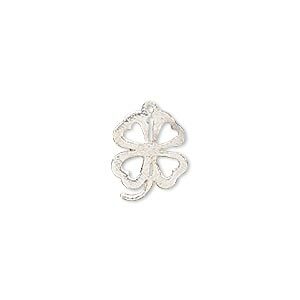 Charm, silver-plated copper, 14x11mm open 4-leaf clover. Sold per pkg of 10. 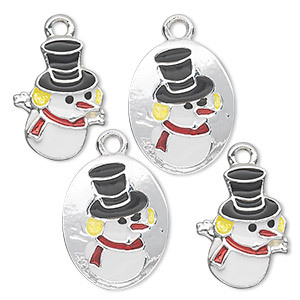 Charm, silver-finished "pewter" (zinc-based alloy) and enamel, white / red / black, (2) 20x16mm single-sided flat ovals with snowmen and (2) 18x14mm single-sided snowmen with glitter. Sold per pkg of 4. 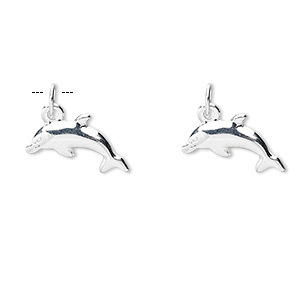 Charm, sterling silver, 15x8x2mm dolphin, detailed on both sides. Sold per pkg of 2. 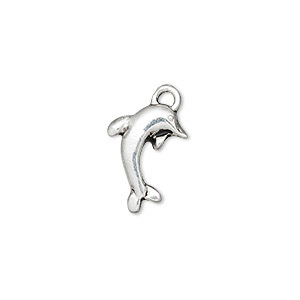 Charm, sterling silver, 19x17mm dolphin. Sold individually.